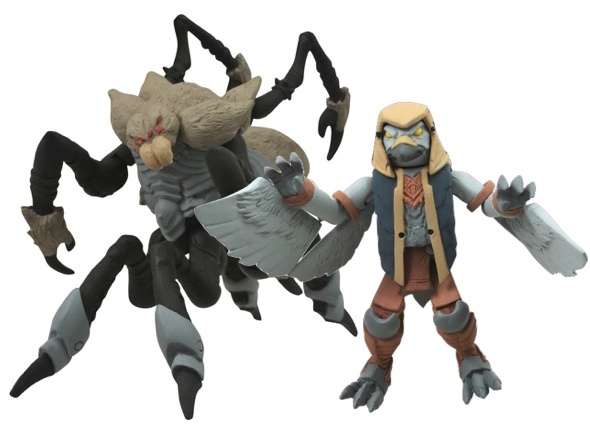 "Years in the making" - DST has finally taken the wraps off of the complete first series of its upcoming Battle Beasts Minimate two-packs. Click on through for a full look at this fantastic new line. 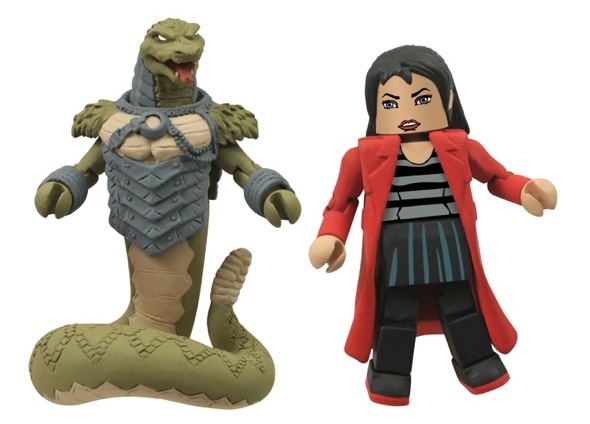 As usual with DST's Minimate lines, there will be retailer exclusives with some characters (and color schemes apparently) that will appear at either Toys R Us or comic shops only. 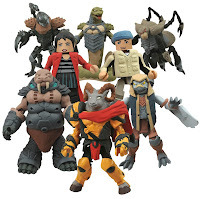 In a cool twist though, the first series of the little guys will be fitting to the comic book mini-series from IDW (of which issue #2 is out now) that's currently running. 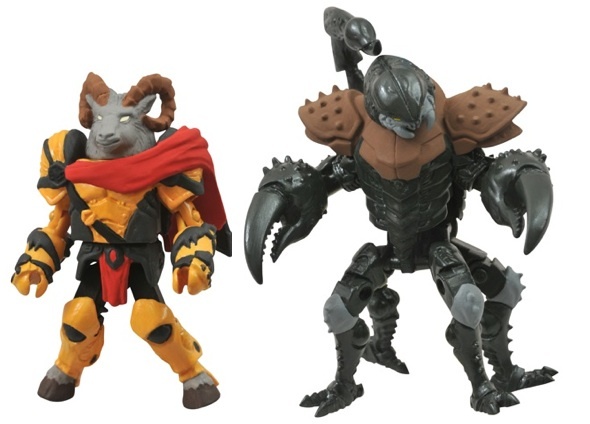 Vorin the Ram vs. the ScorpionThe leader of the the heroic band of rebels faces off with the leader of a nasty band of desert Beasts! Merk the Falcon vs. The TarantulaVorin's deadly comrade takes on one of the creepiest Beasts he's ever encountered! 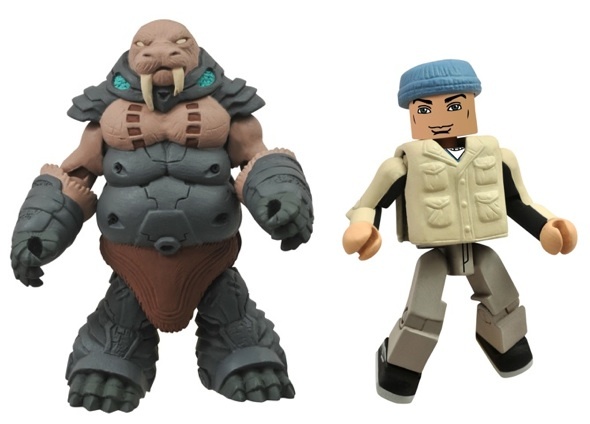 Gruntos the Walrus and Tate Reynolds (exclusive)The trio's good-natured powerhouse teams up with his newfound human compatriot! Bliss Reynolds (exclusive) vs. The SnakeThe human heroine is hunted by a slithering Beast for her knowledge of the Dread Weapons! Battle Beasts Minimates hit shelves this December, just in time for the Holidays! And really, who wouldn't want a tiny cybernetic goat in their stocking?